Introducing a new concept in the London underground food scene, Shacklewell Nights is not exactly a supper club nor is it a pop up restaurant. “Hidden Dining” is the new word on the street and I cannot think of a better place for such a novel idea than Shacklewell Nights. 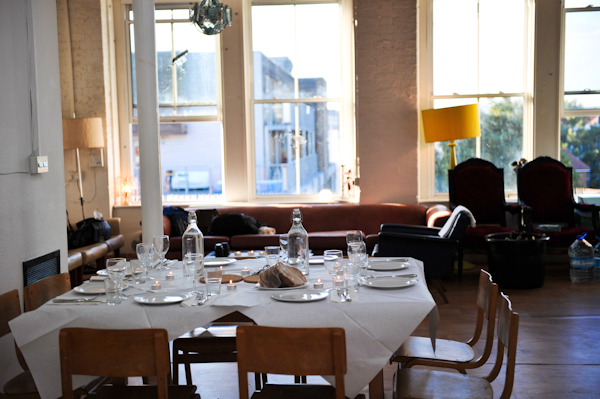 Unlike a "one-off" pop-up restaurant or a more regular supper club, Shacklewell Nights hosts dinners for two nights every two months at an East End venue which is not the hosts’ home. This is a new collaboration between friends Claire Roberson and Jonathan Woolway. Based in a former clothing factory in the heart of Dalston, E8, the venue is still owned by a popular and rather upmarket fashion label, and is used mainly for photo shoots and other fashion events. 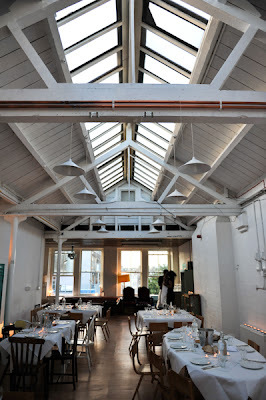 The location is stunning, full of natural light and with a laid-back, informal feel about it. The premises are quite spacious allowing Claire and Jonathan to seat up to 65 people at a time. Food at Shacklewell Nights is quintessentially British and seasonal. 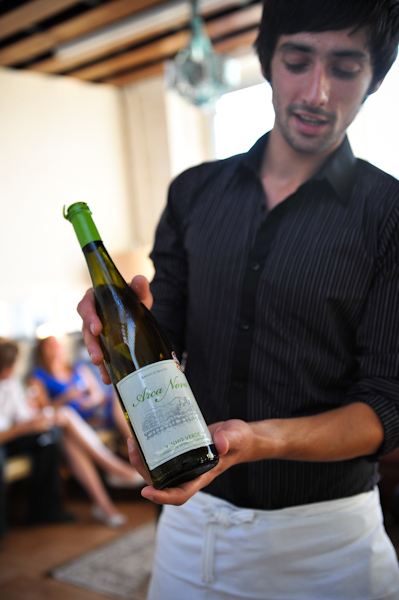 Ingredients are sourced locally and are presented in a skilled, unfussy way. 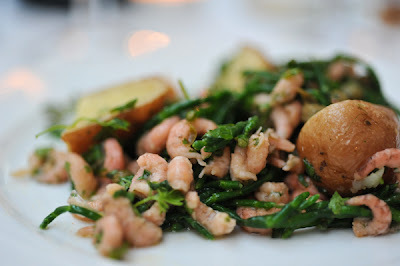 To kick off proceedings we were served a delicious salad of "Brown Shrimp, Potato and Samphire". The tiny brown shrimps worked well with the tart capers, the soft waxy potatoes and the salty samphire which tasted of the sea. The combination of flavours and textures was well thought out, and the presentation was beautiful. 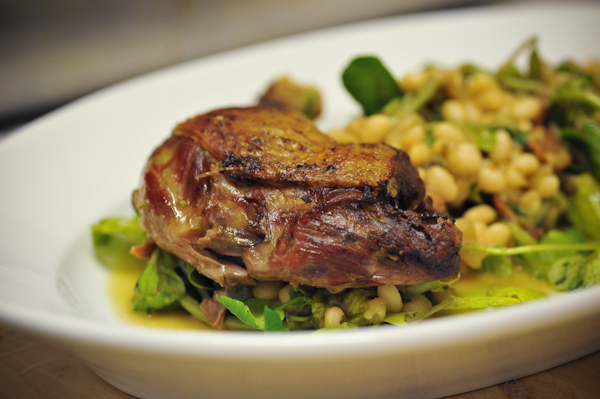 The second course was "Braised Duck Leg with White Beans and Tarragon Aioli" - the meat was perfectly cooked, served on a bed of white beans and bacon, braised in fino sherry, with sage and watercress. I loved the understated sophistication of this dish and the delicious combination of tarragon and duck. 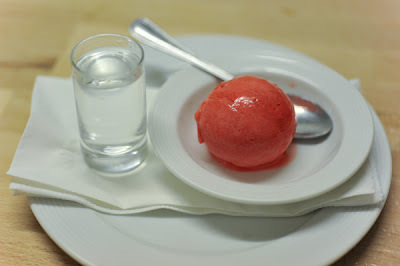 As a palate cleanser, we had a refreshing "Raspberry Sorbet" served with a vodka shot from Sacred Micro Distillery in Highgate. 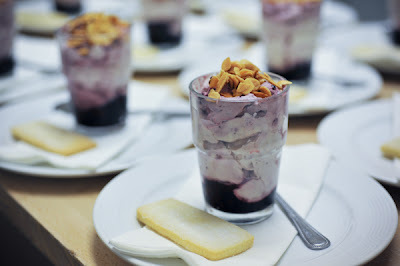 For dessert, we were served a surprisingly creamy but light "Blackberry Fool". This was accompanied by their own home made shortbread which was buttery and deliciously crumbly. 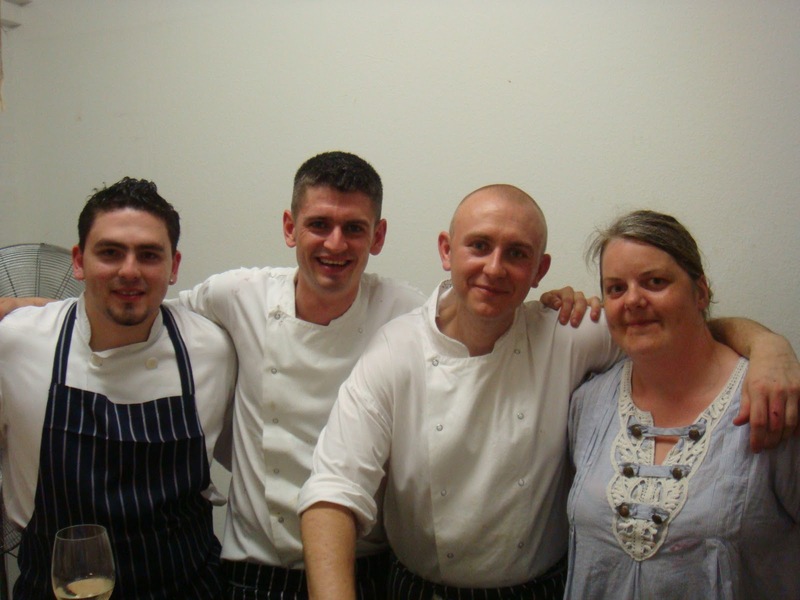 Claire Roberson and Jonathan Woolway have both had many years experience working in restaurants across the UK. After university, Claire cooked at a number of restaurants and bars for seven years before coming to London and starting a career in Architecture and Design. Claire's passion for cooking and sharing good food with friends motivated her to start her own supper club in 2009 "Green Onions" in her former flat in Hackney. 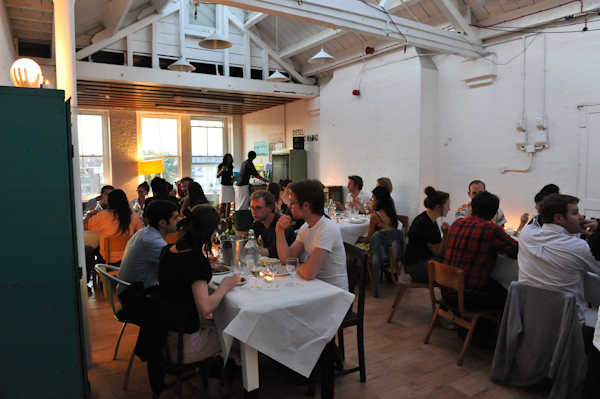 Green Onions Supper Club was a great success until Claire's cooking partner decided to move abroad and prompt a new partnership and the opening of Shacklewell Nights. Jonathan is from Swansea and has also worked in various restaurants in Wales and London. He currently works at one of the top restaurants in the country specialising in British cuisine, also listed as one of S. Pellegrino's 50 Best Restaurants in the World in 2010. Shacklewell Nights attracts a mostly young, professional crowd. 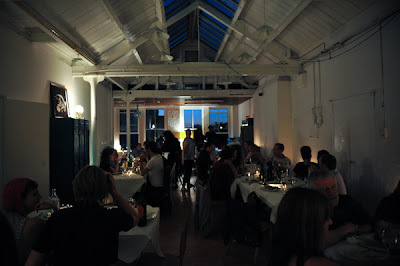 There was a very lively, party atmosphere, with diners mingling and talking to one another. On the evening I visited, I was accompanied by Dr G and Debbie of Vintage Macaroon, and also had the pleasure of meeting and sharing the table with celebrity chef Gizzie Erskine (gorgeous and incredibly friendly), her husband Martin, and Donald, a former sommelier who kindly shared his wines with us. 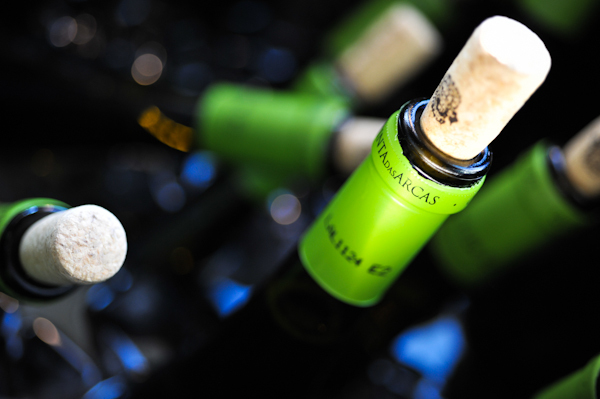 Shacklewell Nights is BYO and no corkage is levied. On the evening I visited, Casa Leal supplied the aperitif (expertly chosen by The Wine Sleuth), a deliciously fresh and light 09 Vinho Verde from Arca Nova. To find out more and to book, visit their website here. The new Hidden Dining dates at Shacklewell Nights are 19th and 20th November 2010. Cost: minimum donation of £35 per person. 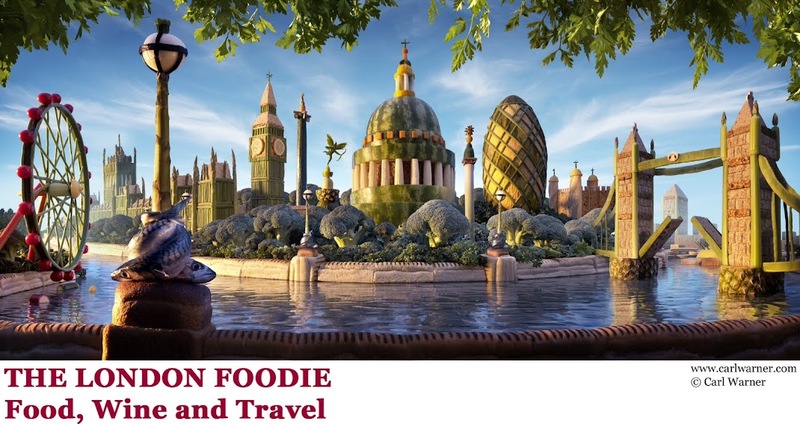 Likes: fantastic seasonal British food to rival many top restaurants in town, excellent value, and stunning location. Verdict: one of the best nights out I have had in a long time, with the most delicious, seasonal British food cooked with much skill and elegance. I cannot wait to return. Very highly recommended. 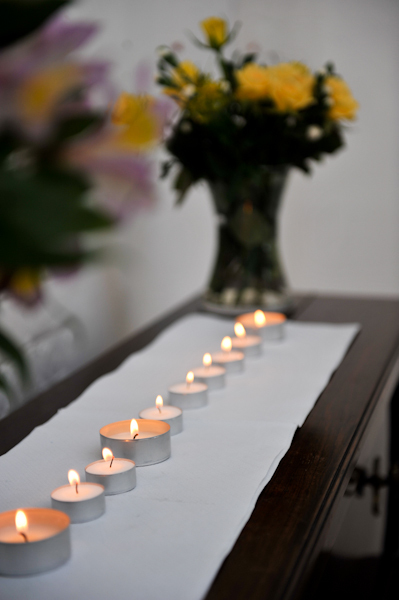 Many thanks to the professional photographer Betty Bhandari who kindly allowed me to use her images in this post. For more information about Betty's photography, visit her website here. getting hungry just looking at it! 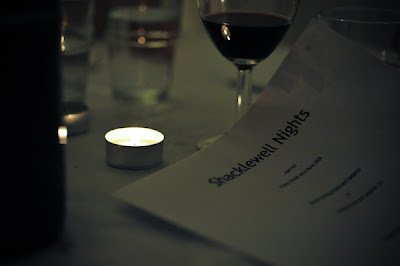 I enjoyed Shacklewell NIghts too, very unique atmosphere. I know, and I can't wait to return on the 19th November! Sounds wonderful. I'm intrigued - were you having too much of a good time to take photos?! Poor timing that we went the night before...! Some of the smallest things made the meal so good - the shortbread was divine. Oh yes I remember the shortbread, meltinglt delicious. We had such a great night and the 19th will be even better! I recently went to a Syrian night, the chef Alicia, who does all this for charity, had actually gone to Syria to research and bring back special ingredients! 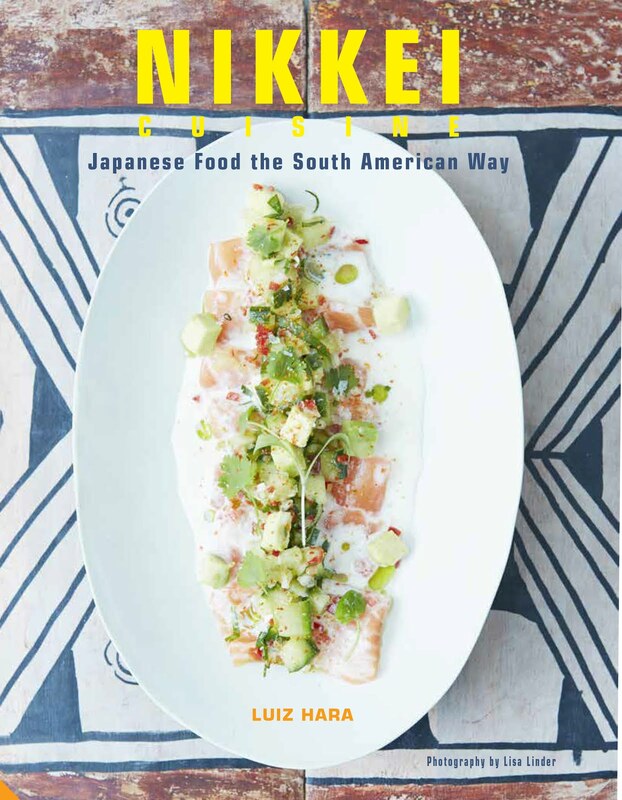 16 of us, from all walks of life and all parts of London and beyond, were sitting in a beautiful dining room around a large table which was laden with the most delicious dishes, from kibbeh to lamb with quince braised in pomegranate juice to various mezzes. The atmosphere was informal and very friendly, Alicia’s cooking is out of this world, and I can’t wait to go to another of her themed nights – her culinary skills include all kinds of global cuisines. I believe the next supper club is on January 5th – I can’t recommend it enough! 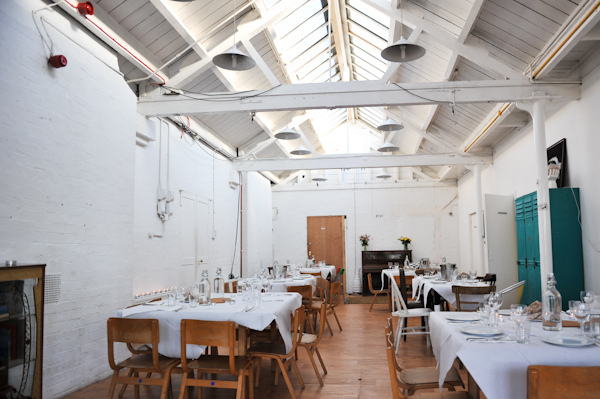 There is the Dalston long table beginning on the 25th November 2011.